Home / Pastoral Statement / ACTALLIANCE – Zambia Forum: Hosts the Southern Africa Regional Forum (SARF) Annual Meeting in the Livingstone Tourism Capital. ACTALLIANCE – Zambia Forum: Hosts the Southern Africa Regional Forum (SARF) Annual Meeting in the Livingstone Tourism Capital. LUSAKA: The 2014 Southern Africa Regional Forum (SARF) Annual meeting takes place at the New Fairmount Hotel in Livingstone from 11th – 14th September 2014. The SARF meeting offers a rare shared regional platform of ACT members in the Southern African Region. In attendance will be the CCZ General Secretary Rev. 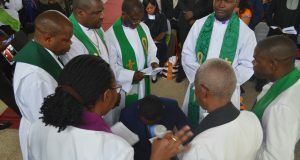 Suzanne M. Matale, the Synod Bishop of the United Church of Zambia, His Grace Rev Mutale Mulumbwa, and the General Secretary of the United Church of Zambia, Rev Dr Peggy Mulambya-Kabonde. The meeting has attracted 20 delegates (one participant from Finland, Sweden, Germany, 16 from SADC countries and 20 from within Zambia). The recurring drought and floods in Southern Africa in the period between 1998 and 2002 called for a regional approach to these disasters since they had a regional nature in the sense that they affected more than one country each time they occurred. In the subsequent meetings with representatives from the ACT Secretariat members in the Southern Africa region identified the need for a regional approach. The trigger disasters were the 1998 – 2000 droughts and the Cyclone Eline induced flooding and damages causing massive flooding in Mozambique, Zimbabwe, Malawi, Zambia and South Africa. The main objectives of the SARF are as follows: to increase the effectiveness and impact of the development; humanitarian assistance and advocacy work being undertaken by ACT members through improved coordination. Members of the SARF work together for positive and sustainable change in the lives of people affected by poverty and injustice in the region. SARF comprises of the following countries geographically located in Southern Africa: Angola, Lesotho, Madagascar, Malawi, Mozambique, South Africa, Swaziland, Zambia & Zimbabwe. Current membership of SARF comprise of ACT members, observer organisations and ACT Forums in the countries mentioned above except for Botswana and Namibia who are yet to be ACT Alliance members. 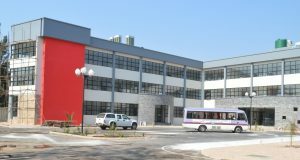 The membership of SARF comprise of ACT members and observers with and without physical presence in Southern Africa according to geographical demarcations determined by the ACT Secretariat. The first meeting of SARF was held in South Africa in 2000. 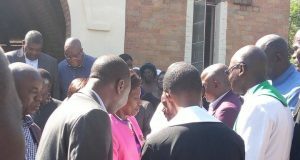 Subsequent meetings were held Swaziland in 2001, Botswana in 2002, Malawi in 2003, Zambia in 2004, Mozambique in 2005, Zimbabwe in 2006, Malawi in 2007, South Africa in 2010, Madagascar in 2011, Lesotho in 2012, while the last meeting was held in 2013 in Maputo, Mozambique. This year’s annual meeting is being hosted by the Zambia Forum under the auspices of the Council of Churches in Zambia (CCZ), Joint Country Programme (JCP) and chaired by the United Church of Zambia (UCZ). The Livingstone meeting shall prepare for the forthcoming Punta Cana, Dominican Republic General Assembly which takes place from 20th -24th October 2014. It shall share on the proposed changes to the Statutes, by-laws and recommendations. The meeting will also prepare written submissions on the changing development context; finalize the draft for the ACT statement on “Full Life & Dignity for All!” as a recommendation to the alignment of the regional advocacy structure/s. It shall revise the draft Strategic Plan and analyze the progress report from the Governing Board and give recommendations on work processes and structures. The preparations for this meeting begun well in advance with a series of meetings. 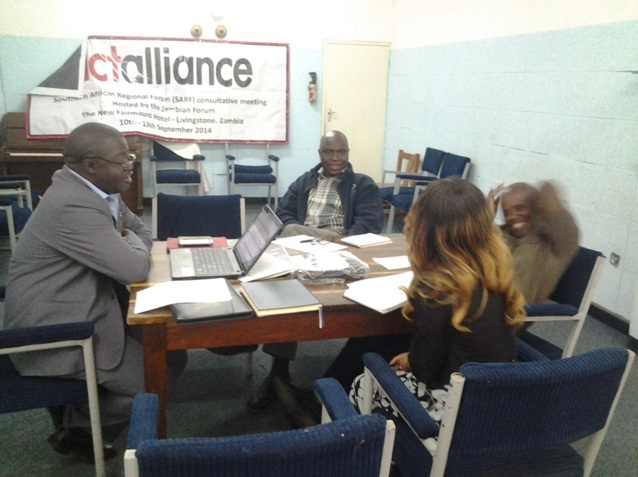 The last one sat on 3rd September 2014 to look into the final logistics, and was attended by Mr Bornface Mafwela (Chair – UCZ), Mr Abraham Chikasa (CCZ Head of Programmes), Miss Annita Antonio (CCZ) Rev Dennis M. Sikazwe (UCZ Comm Sec) and Mr George Chibwana ( Prog Officer CCZ). Previous: Pastoral Statement – Golden Jubilee!